Is Michael Jordan Really Coming Back In Black Panther 2? 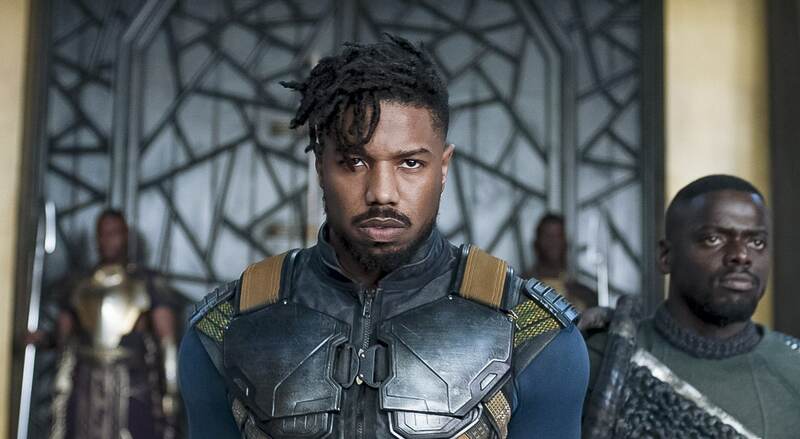 Michael B Jordan may return for the sequel, as revealed by actor Courtney B. Vance, husband of Black Panther star Angela Bassett. “Including Michael B.Jordan, yes,” Vance added. In the last moments of Black Panther, T’Challa remarked that advanced technology of Wakanda could be used to heal Killmonger. Earlier both Erik and T’Challa talked with their dead fathers via a ritual visit to the Ancestral plane. This could be used to involve Jordan if Killmonger wasn’t saved or resurrected somehow. The cast, which took home top prize at the SAG Awards for Best Performance by a Cast in a Film, offered comments on the sequel now under writer Ryan Coogler. “I mean, take myself out of that situation [laughs], but for everybody to come back, I think I speak for everybody up here, it would be a tremendous accomplishment,” Jordan said backstage at the SAG Awards. “Sequels, I think, are one of the hardest films to make, and I feel like to create a world and build upon it that’s so beautifully and delicately woven into the world of the Marvel Universe — but throughout cinema in general, you take Marvel out of it, I think it’s a movie that stands against all film across the board. Sterling Brown, who played N’Jobu, Erik’s father teased Coogler is a “beast” filmmaker and will be behind the camera.